It all started after watching an episode of Doctor Who. 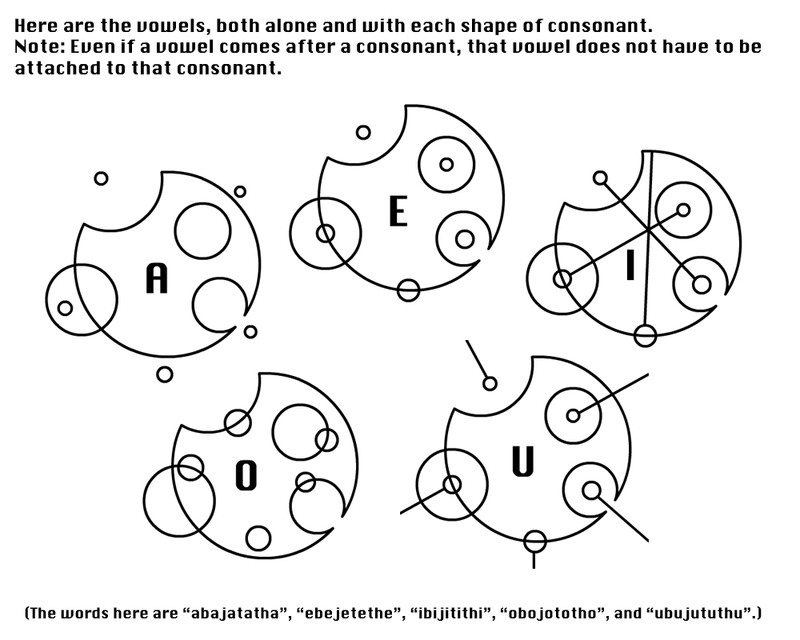 For those of you who aren't into Doctor Who, Gallifreyan is the fictional language of the Time Lords. It wasn't like it was a special episode or something, I think it didn't even include Gallifreyan, but after that I started wondering if there was a way to write Gallifreyan. The first thing I found, was a translator. I really loved the results I was getting from it, but I wanted to take one step more. After another search, I found an amazing guide on how to write circular Gallifreyan. The alphabet is fictional, yes, but it does actually look Gallifreyan, and that's enough for me :) I started writing Gallifreyan and I loved loved loved it. But, how could I use this new knowledge. Then I thought of the doctor's fob watch, and realised how great it would be to create a pendant with Gallifreyan writing on it! I made the colour of paint to keep the pendants in the style of this fob watch, and I personally think it worked. I really hope I added everything, but the list is quite long so I'm not sure.. When writing circular gallifreyan, you start at the bottom and write anti-clockwise. Start by drawing a small circle. Next, add your first letter. The diagram for consonants is really clear, so no further tips on that, when writing vowels however I would recommend using this extended sheet: vowels. The following letters are added the same way, going anti-clockwise in your circle. When starting a new word, you also start a new circle. Circles can look more joined by the empty shape created by the letters T, SH, R, S, V and W.
When all the words have been written, they are surrounded by a circle, which is surrounded by the outer circle. The lines go on until this outer circle is reached. In the example I'm giving here, I'm going to write Do it yourself. Start by drawing your first circle. Next, add the first letter on the bottom in the middle. If your second letter is a vowel, take a look at the vowel sheet. If it's a consonant, just add it on another place on the circle, keeping in mind that it's written anti-clockwise. Depending on how many words you have in total, you'll want to place the next circle somewhere on the top right side of your first word. I first checked if there were letters that could be used to interlock the two words, before adding the circle. The third word also had a letter that could be used to combine two words. When you draw this in immediately, you can just work around it with the other letters. There are still a lot of lines that I haven't drawn yet. I prefer to do this when I've written all the words, so I can also connect letters by lines. The first circle also contains these divots. They don't have any meaning and are just there to look nice :D The outer circle makes the sentence look finished in my opinion, makes it look even better. To clear up the lines a bit, I always prefer to trace my lines with fine liner. After the tracing you can just erase the pencil lines. Since you now know what your text should look like, you can draw it on your computer. The circle shape without filling and the arc are very useful. My outer circle was 3 cm and I made the lines 0,02 cm. When your design is finished, you can print it. On the cardboard, trace 9 circles that are slightly bigger than your design. Cut them out as precise as possible. As you can see, my circles had pencil markings on them. I erased this from two of them, since only two will be on the outside. Take your 9 circles and your glue and start glueing it together. I personally prefer to add glue to one of the circles (shiny side) and spread it on a second one by putting them against each other. This will also prevent glue being spilled out on the sides of the pendant. After four layers, bend an eye-loop pin from the wire and glue it on there. Apply a generous amount of glue before adding on the next circle. Make sure the outer two circles have the grey side turning out, that will be much easier to cover with paint. Before adding your paint, make sure you have a piece of paper and a bit of water ready. The colour was created by adding a blob of silver paint to the paper and then adding a small spot of black. I wanted to add the black because the silver looked way too shiny, and I was going for an older, fob watch like - impression. This is the trickiest step in this entire instructable. Basically, you need to take a very, very small brush and paint between the lines of your printed design. I'd recommend taking a bit of a lower chair for this or moving your design up a bit, since you will need to be really close to your design and the bigger the distance, the more your neck will hurt..
After the last step, this is just a big relieve. Use the paint you already made to cover the entire pendant in paint. I hope you liked this project as well, if you did I would love to know!! I'm a sucker for exotic scripts. If only English were as visually interesting to write! This is great. This is awesome. You totally can't even tell it's cardboard. I love all your stuff, thanks for being so great. Your skills with wire are amazing too. Love this. My friends and I love doctor who and learning how to write the language was a great experience, and the pendents really made it that much more exciting. Thank you. I love Doctor Who and this adds to my collection and I just love it I wear it every day thanks for the instructions. I recently found a Gallifreyan translator app. Wondering if I can use the app and create this with metal clay and stencils. hmmmm... love this! Also I got the translate app. This is a great Christmas idea for any WHO fan! That's awesome! I couldn't even tell it was cardboard! I want to try this with polymer clay!